William Lieug Harvey was born in St Erth Parish on 17th July 1858. He was from the famous Harvey’s of Hayle, whose foundry was famed for the world’s biggest and best beam engines. 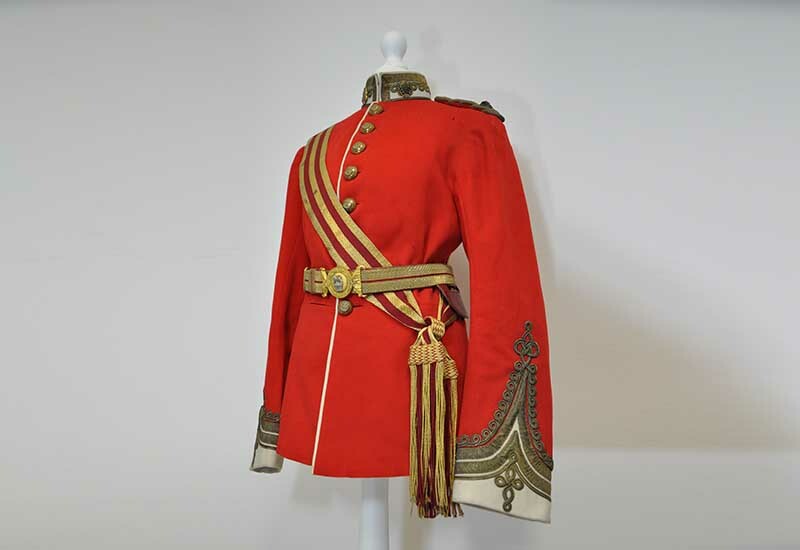 He was commissioned into the 46th Regiment of Foot on 30th January 1878 and became Lieutenant in the Duke of Cornwall Light Infantry (DCLI) on 18th June 1881. In 1882 he served in the Egyptian Expedition and was present at the Battle of Tel el–Kebir. On 24th September 1884 he was promoted to Captain and served in the Sudan (1884 –1885), followed by the Nile Expedition. Promoted to Major on 31st August 1894, he served in the South African war (1899 – 1902). At Kaspminden he was Commandant and took part in operations in the Orange Free State, Poplar Grove, Driefontein, Houtnek, Vet River, Zand River and the Transvaal. Major Harvey was mentioned in dispatches on 10th September 1901 and 29th July 1902. He was also awarded the Queens Medal for his bravery and made a Companion of Distinguished Service Order (DSO) in recognition of his services in South Africa. The Insignia was sent to Lord Kitchener and was presented to William in 1902. Major Harvey retired in November 1902 with the rank of Lieutenant Colonel. However, during WWI he commanded the DCLI depot in Bodmin, Cornwall. In 1893 he married Florence Hooper, daughter of Captain FC Hooper of the 18th Hussars. They lived in a large house at Tredarvah, Penzance with their two children, Henry and Marion, a governess and four servants. William died on the 22nd December 1937 aged 79. He is buried alongside his wife in St Erth churchyard.